For the E8s this month, we have a real standout… Atlantic Coast Line! We have had quite a few requests for these. The Burlington wide-vision cabooses are now available! 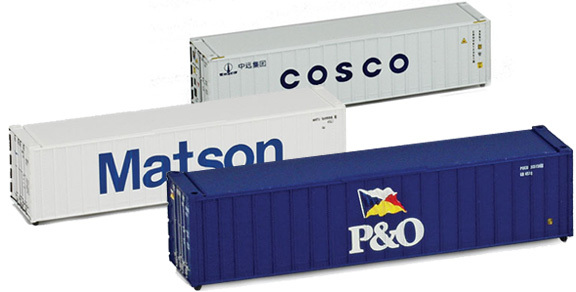 AZL has received a number of requests to release the 40’ containers individually. For mid-April, we are releasing three 40’ containers. Supplies are limited.